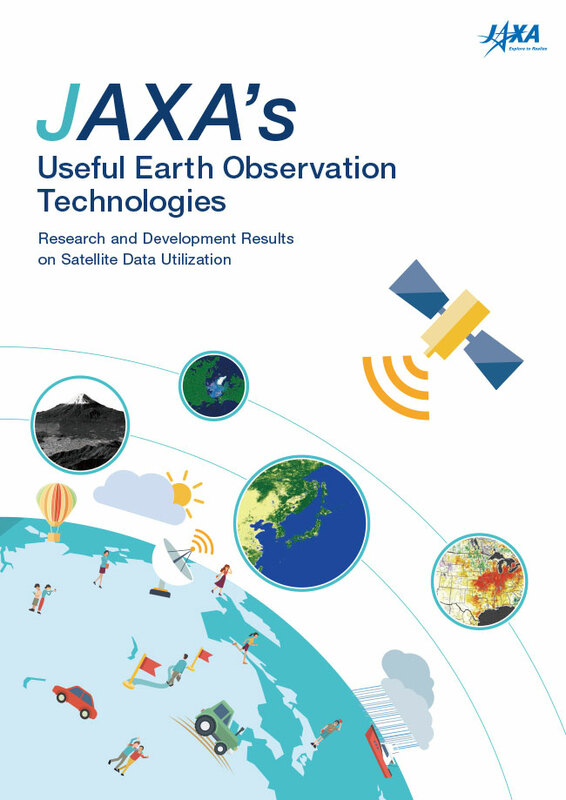 JAXA offers various databases including observation data from satellites and probes so the public can utilize our research results. For use of the data and the terms for use, please refer to the respective relevant pages. This pamphlet summarizes the results of research and development on the usage of satellite data provided by the Earth Observation Research Center (EORC). The aim is to utilize JAXA’s earth observation technologies to resolve issues experienced by government ministries and agencies and the industrial world, and also to improve business value. Analyzed data observed by the Greenhouse Gases Observing Satellite "IBUKI" is available through the National Institute for Environmental Studies (NIES) website. You can download global typhoon data acquired by the Tropical Rainfall Measuring Mission (TRMM) satellite and the earth observation satellite "Aqua." You can check global precipitation distribution data compiled by combining data observed by the TRMM and Aqua and that of meteorological satellites including "Himawari." Science data on the small asteroid "Itokawa" observed by the Asteroid Explorer "HAYABUSA"
Important scientific data observed by the KAGUYA is available for promoting scientific utilization. Data archives on a broad range of space sciences including astronomy, solar physics, and solar-terrestrial physics. Data is mainly acquired by Japanese scientific satellites. A data base that is compiled with sonic boom measurement data and other information is now available for domestic and overseas sonic boom researchers to utilize it with the goal of improving sonic boom calculation and estimation technology as well as low sonic boom design technology. The objective of the materials database system is to swiftly and efficiently collect, accumulate and search for various test data on materials for space use. We would like to provide useful data for space vehicle design and a selection of materials to a broad range of people who are in charge of space related projects both inside and outside JAXA. You can find data and information on parts for space use that are qualified by JAXA. JAXA and the National Institute for Materials Science (NIMS) are cooperatively publishing data on the strength properties of practical space use materials as a result of their collaborative work aimed at improving the reliability of Japan’s H-IIA and H-IIB Launch Vehicles as well as developing a future space transportation system.